Often named as the most unique condo in Singapore, Reflections at Keppel Bay was designed by Daniel Libeskind, an American-Polish architect. While his portfolio includes the Jewish Museum Berlin, Imperial War Museum, North Contemporary Jewish Museum and One World Trade Center, Reflections at Keppel Bay was his first residential development in Asia. As for The Interlace, it is noteworthy for its design which looks like 31 bricks irregularly stacked upon each other, resembling Jenga blocks. A masterpiece of Ole Scheeren from Germany, this development emerged as the World Building of the Year at the 2015 World Architecture Festival. 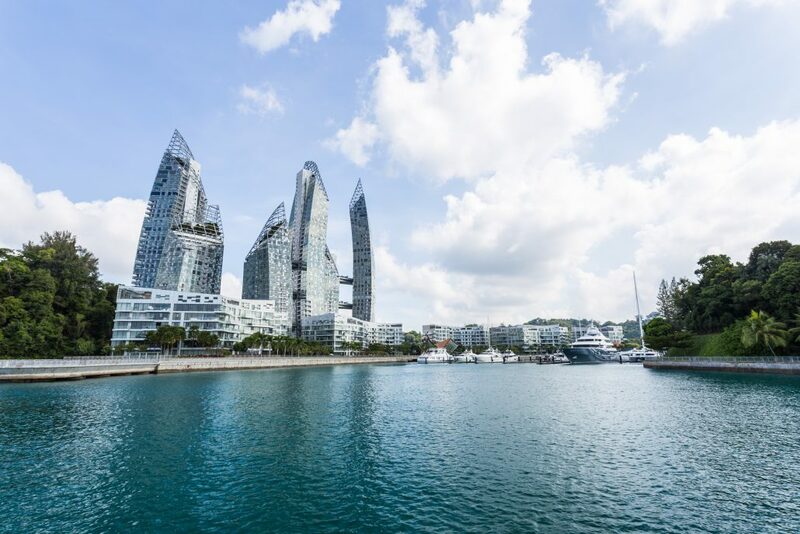 Apart from the widely known Reflections at Keppel Bay and The Interlace, what are some other residential projects that have become an iconic part of the Singapore Skyline? 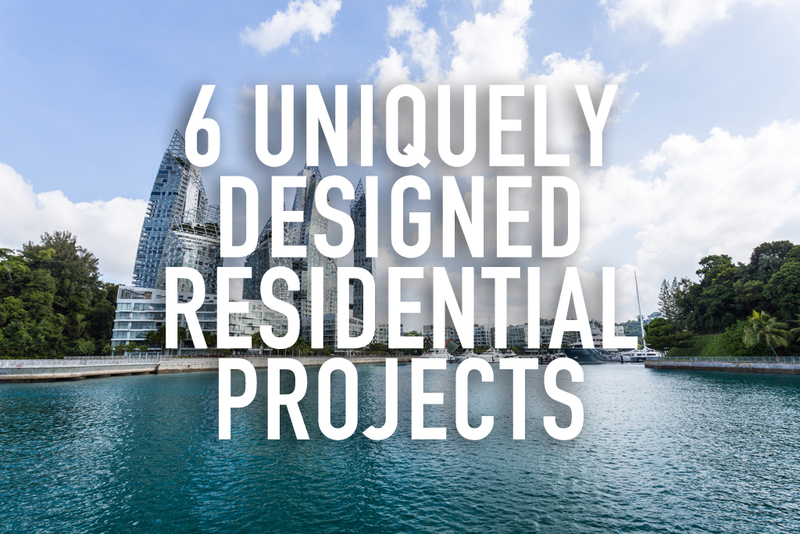 Some of these residential developments were designed by renowned architects and have won several awards for their excellence in architectural design — read on to find out more! 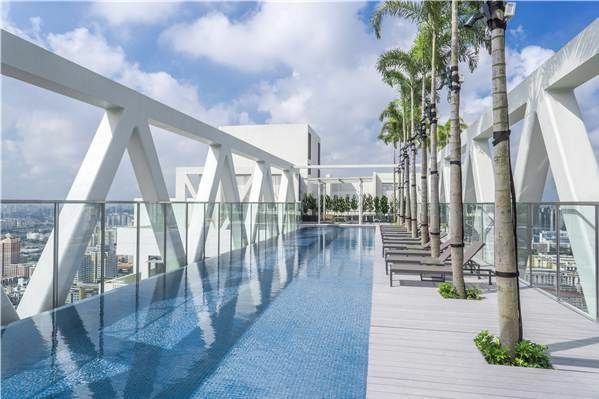 Located at prime District 10 (or more specifically, 327 Bukit Timah Road), this freehold development is an iconic masterpiece by Architects 61, the same firm which designed the Trilight Apartment Buildings and Terminal 1 in Changi Airport. 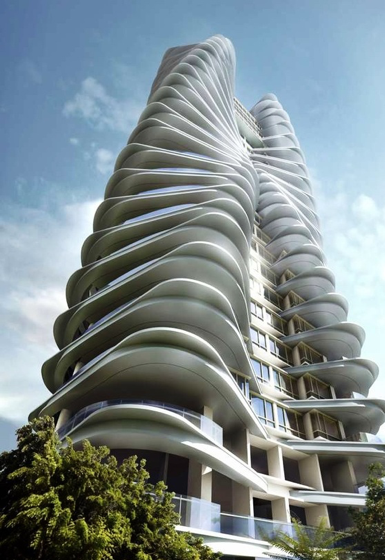 This 24-storey luxury condominium represents the art of motion in symmetrical forms, mimicking two figures extending skyward in a “sensual silhouette”. It is a series of ascending curved plates, which gives us the impression of motion. 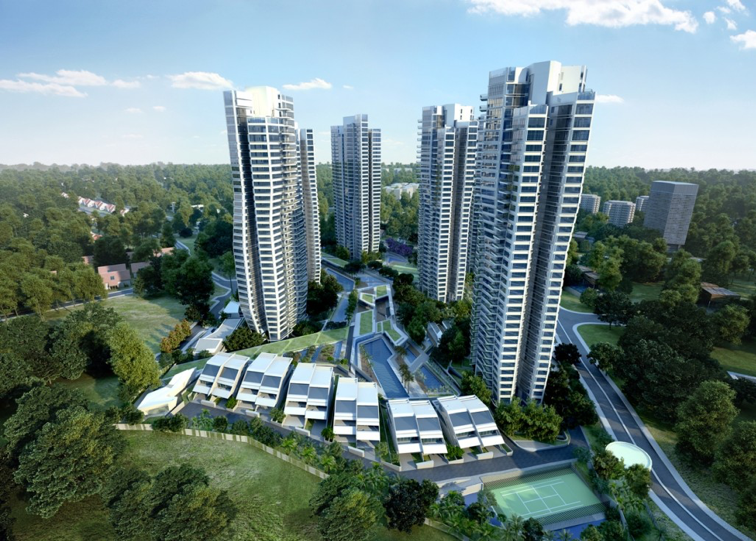 Meant to be an exclusive development, there are only 2 units per level at Ferrell Residences, making it 34 units in total. With full-height windows on each side of the apartment offering 270° views, it also helps to bring natural light into homes. 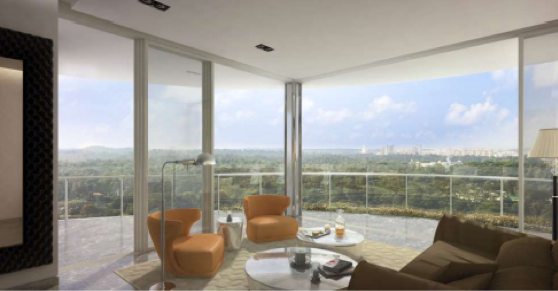 Also located within the prime area of District 10, d’Leedon comprises seven skyscrapers with flower-shaped plans near the Singapore Botanic Gardens. On every storey, each single petal accommodates just one unit, allowing most homes to enjoy views in three directions. Completed in late 2014, it was a project by Zaha Hadid’s firm before her untimely death in 2015 due to a heart attack in a Miami hospital. Being the first and only woman to be awarded the Royal Gold Medal from the Royal Institute of British Architects, the Iraqi-born British architect also designed various cultural and sports buildings, including the MAXXI museum in Rome and the Aquatics Centre for the London 2012 Olympics. 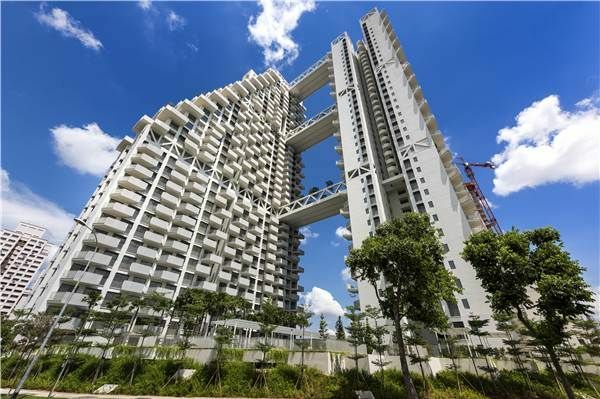 Marketed as “Your Sanctuary in the Sky”, the Sky Habitat project features a pair of balcony-covered housing towers linked by three aerial walkways, earning itself a spot as an iconic architecture in the heart of Bishan estate. 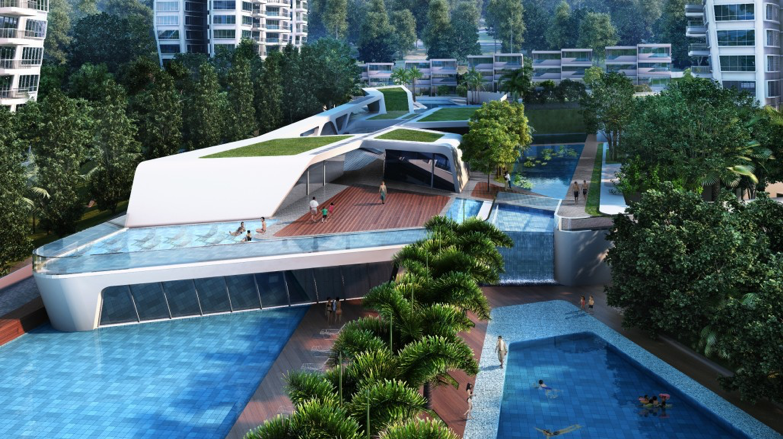 The 509-unit complex also includes a 50-metre-long swimming pool, alongside smaller leisure pools, a children’s play area, barbecue pits, karaoke and event rooms, as well as a gym. There are also boxy balconies protruding at an angle from the face of both residential towers, creating a stepped formation that provides each residence with access to a private outdoor space with views of the ground-level gardens. The development was designed by Moshe Safdie, a Canadian architect, who also completed the Marina Band Sands project in 2010. Having successfully illustrated the concept of high-rise urban gardens, the Sky Habitat was recognized as the “Best Tall Building Asia & Australasia” and “Urban Habitat Award'” Finalist in the 2016 CTBUH Awards Program. Completed in the 1980s, this condominium that resembles the exhaust pipes of a space shuttle, was believed to be the future of buildings. With three 34-storey circular blocks and a low-rise development of studio apartments and bachelor flats, this design has brought the multi-storey “Bungalow-in-the-Air” maisonette concept to a new level of individualization and affordability. To meet the demands of buyers who wished for a curved form at a low cost, the scale of the tubular towers was increased. 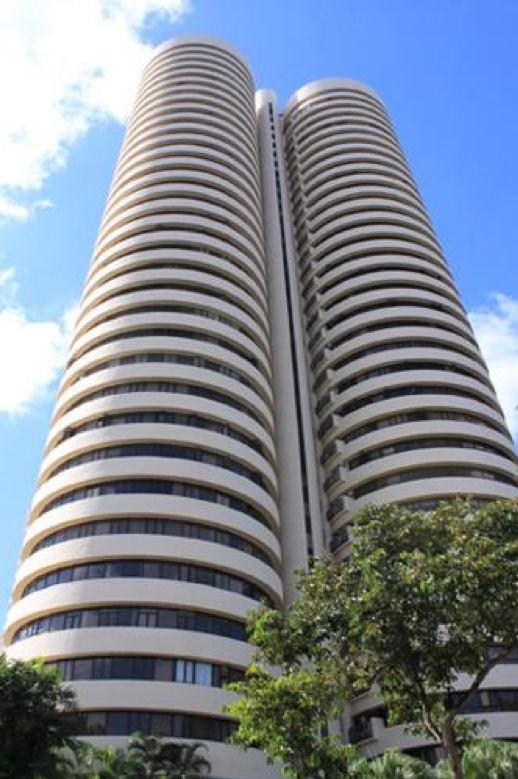 As a result, circular apartments without subsidiary amenity towers were created, reducing the cost by 25%. Similarly, the circular Block 259 in Ang Mo Kio Avenue 2 is made up of four 25-storey circular columns, which was later renamed The Clover @ Kebun Baru. 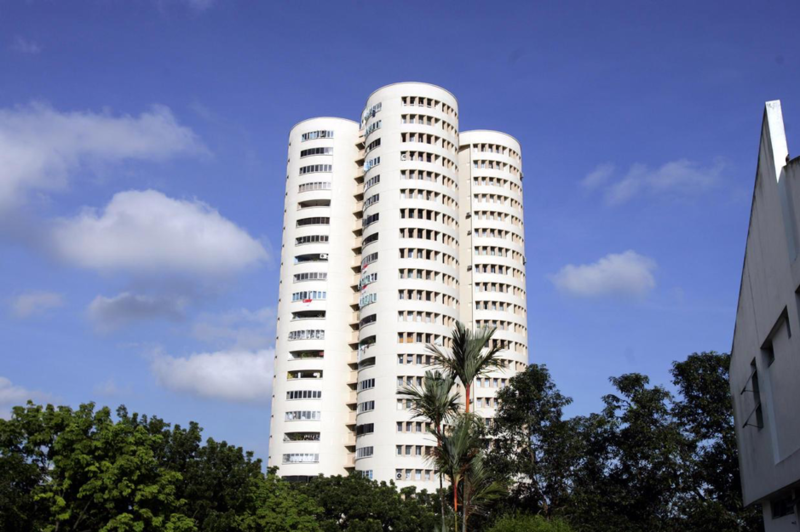 Completed in 1981, they are the first circular flats in Singapore and was meant to be the signature building that marks the start of Ang Mo Kio town. However, there were some complaints from potential homeowners then that it would be hard to fit furniture and install fittings into the circular rooms. 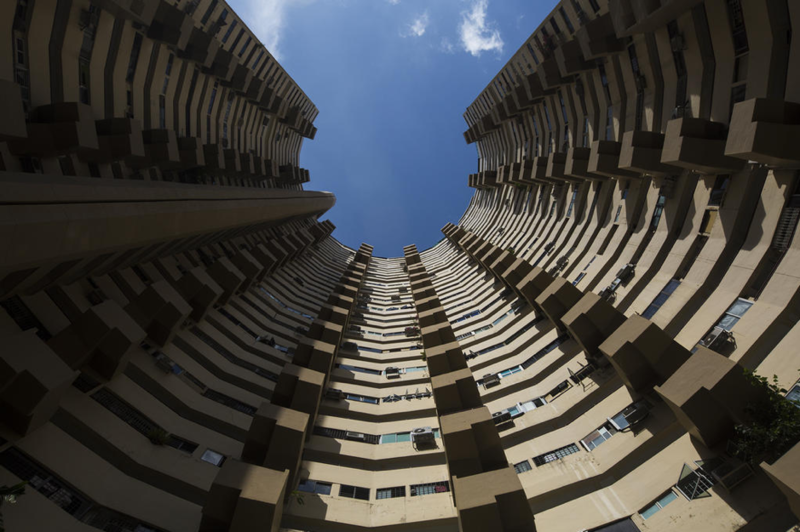 The horseshoe-shaped Pearl Bank Apartments was once Singapore’s tallest residential building and remains a landmark in Outram since its construction in 1976. This unique design — by Singaporean architect Tang Cheng Siong — was conceived to minimize exposure to the sun and at the same time, allow the 38-storey building’s residents to see the view from the top of Pearl’s Hill. In addition, the unique design also enabled it to house the largest number of apartments contained in a single tower in Singapore: 272, including eight penthouses. On 13 Feb 2018, it was sold to developer CapitaLand in a collective sale for $728 million and is likely to be demolished despite calls to conserve the building, unfortunately. Indeed, it is amazing how architects and engineers have made all of these architectural designs possible! What are some of your favourite property designs and architects? Desmond started his career at Far East Organisation, the largest property development company in Singapore, focusing on condominium and landed properties. Armed with the knowledge gained from his time in Far East Organisation, Desmond decided to learn more on the financial aspect of mortgages and thus pursued a career as a mortgage specialist in two local financial institutions. With the experience from his time spent in the banks, he hopes to be able to add value to his clients at Redbrick.